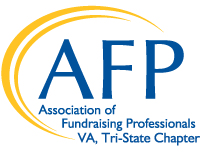 The VA Tri-State Chapter of the Association of Fundraising Professionals (AFP VA Tri-State) includes members from Virginia, West Virginia and Maryland. We offer members the opportunity to connect with colleagues, engage in creative thinking, network with new friends and achieve great results in their work. We focus on delivering innovative educational programs and events to help you reach your goals. 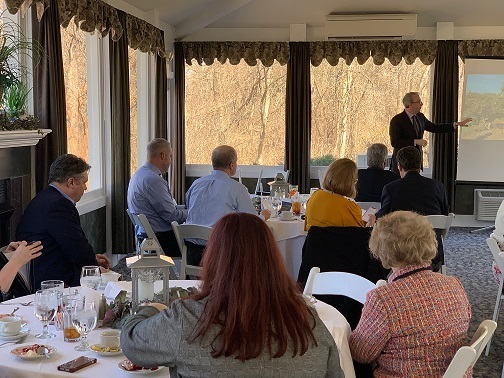 AFP VA Tri-State is your link to professional networking and educational luncheons; discovery group meetings; programs for advanced executives, mid-career professionals, and those new to the field. We also sponsor special events like National Philanthropy Day, hold in-depth seminars, and much more. Help make AFP VA Tri-State work for you! Contact us to learn more and get involved! The AFP Tri-State Chapter is offering two scholarships to attend the Virginia Fund Raising Institute (VFRI) in Richmond July 24 and 25, 2019. Each scholarship will cover registration and one night’s lodging at the Richmond Marriott Hotel. You must be a member in good standing of the AFP Tri-State Chapter. If you have received a chapter scholarship this year or you received a chapter VFRI scholarship last year, you are ineligible to apply. More information and contact information are available on the application. The AFP Tri-State chapter has been named a 2019 Ten Star Chapter. Every year, AFP honors chapters for achieving goals that align with key objectives in its long-range strategic plan. Chapters receive the Ten Star Award for performing specific activities designed to increase professionalism within fundraising and public awareness of the importance of philanthropy. Just one-third of all AFP chapters are named Ten Star Chapters, so the AFP Tri-State Chapter is one of a select group of chapters to earn this honor.